Gutter guards are a wise investment for your home in the Madison, Wisconsin, area, because they can help protect it from the devastating effects of water damage. If your gutters aren’t functioning properly, inclement weather can cause excess rainwater to pool on the ground and saturate the soil near your home’s foundation, putting pressure on your home and causing the basement and its interior walls to crack or cave inward. Once this water seeps into the cracks, it can also leave your home’s interior vulnerable to the unpleasant growth of mold and mildew. If you would like to avoid these issues, high-quality gutter guards are the answer. They will help safeguard the roofline and foundations of your home by keeping debris out of your gutter system and allowing it to function as intended. At ABC Seamless Home Specialists, we can provide you with premium gutter guards that are guaranteed to keep your gutters free of leaves, sticks, dirt, and other debris, while using capillary action to pull water into your gutter’s downspouts where it belongs. Our American-made gutter covers have a strong metal design that outperforms solid hard cover products, and has a lifetime clog warranty – so you can feel secure in your investment. 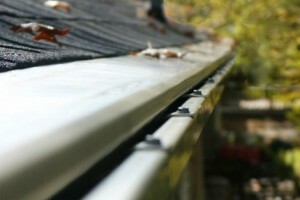 Contact ABC Seamless Home Specialists for more information about our gutter guards. We are proud to serve homeowners in the Madison, WI, area, and beyond. ABC Seamless Home Specialists did absolutely the best job and are the best people to work with! VERY HAPPY!